As the Russians blitzed the contested eastern region of Ukraine with cyberattacks, electromagnetic jamming and unmanned aerial systems, the U.S. military closely monitored the battle tactics, according to officials speaking Oct. 8 at the Association of the U.S. Army’s annual meeting. 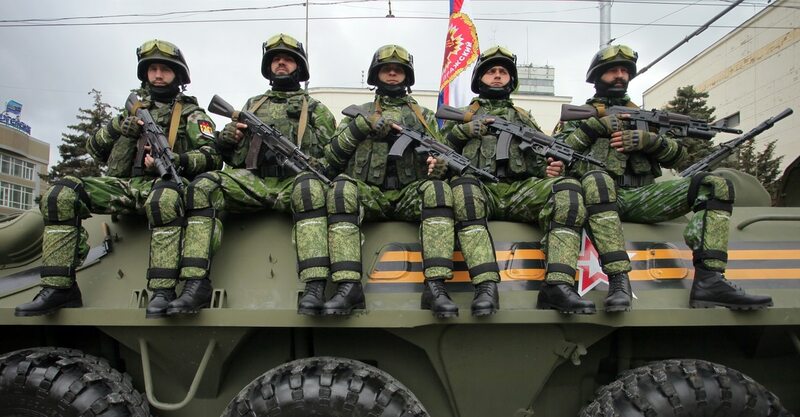 How the Russians embraced hybrid warfare showed just how effective overlapping these tactics could be. Ukrainian forces have received Russian-backed text messages to "undermine unit cohesion and troop morale,” Col. Liam Collins wrote for the AUSA website. The Russian military has also targeted areas where a large number of cellphones have been detected with artillery strikes, Collins explained. “In one coordinated action, electronic warfare is combined with cyberwarfare, information operations and artillery strikes to produce psychological and kinetic effects,” Collins wrote. Experts and military officials say that the Russian tactics informed American cyber needs. “When the Pentagon studied Russian aggression in the Crimea, a lot of it had to do with cyberattacks,” said James Montgomery, who handles cyber business development for Lockheed Martin, one of the prime defense contractors for the U.S. government. In response, the Pentagon highlighted the need for increased “defensive cyber” from military contractors. The Pentagon has also asked defense contractors for stronger information and electronic warfare systems after the events in Ukraine, Montgomery told Fifth Domain. In the past five years the Pentagon has invested in stronger cybersecurity due to the demands of hybrid warfare, according to experts and military officials. 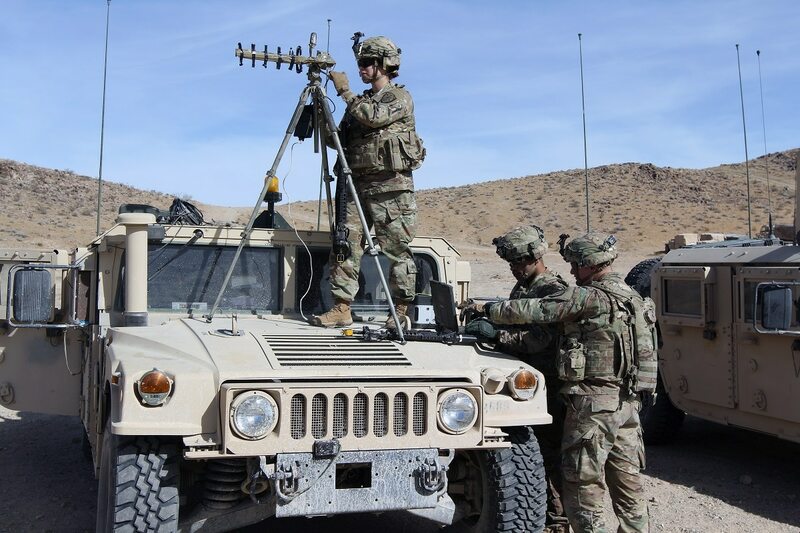 The Army is doubling the size of its electronic warfare force and nearly doubling the training those troops receive before they are deployed, Brig. Gen. Jennifer Buckner said during an event at AUSA. She added that the Army is integrating electronic warfare units into more parts of the military. But despite the call to action caused by the Russian aggression, the U.S. military has not fully transformed into a hybrid fighting force, Aaron Brantly, a cyber policy fellow at the Army Cyber Institute told Fifth Domain. Editor’s Note: The strategic balance in Asia is changing dramatically, presenting both risks and opportunities for the United States. The dynamic between China and India is one important concern, particularly as U.S. relations with India have gone from tepid to friendly. Arzan Tarapore of the National Bureau of Asian Research argues that some forms of balancing China with India are unlikely to work but that helping India build up its maritime presence would be an effective counter to China's rise. Sunday was the 17th anniversary of the start of the longest war in American history: the Afghanistan War. When Operation Enduring Freedom kicked off on Oct. 7, 2001, in the wake of the 9/11 attacks, few would have thought we’d still be there fighting the Taliban nearly two decades later. Heck, I doubt I thought we’d still be fighting today when deploying there myself “only” 10 years ago this month. But here we are, engaged in a forever war in which the generals seem to have no plausible “theory of victory” and the Taliban remain stubbornly resistant to capitulating to our demands. It is a war that we ought to end honorably through a negotiated settlement with our opponents—or even by unilaterally declaring success, and prudently but surely coming home. MOHMAND VALLEY, Afghanistan - When I spent time with the 12 men of the Operational Detachment Alpha team in July, they had been fighting an Islamic State affiliate, the Islamic State in Khorasan, for four months. The team was based at Combat Outpost Blackfish, a farm compound at the mouth of the bucolic Mohmand Valley that they had named after the killer whale. If the Trump administration were to summarize its own China policy in one word, it would be “competition.” From every official at every level, it’s one of the administration’s few glimmers of consistency the past two years. On Thursday, Vice President Mike Pence delivered a scathingly anti-China speech at the Hudson Institute that gave a sense of moral justification for a long-term competition with China. As one journalist tweeted, Pence stopped just short of labeling the Middle Kingdom “an evil empire.” Many of the specific points made in the speech were valid, as is a general recognition that the United States is in competition with China. 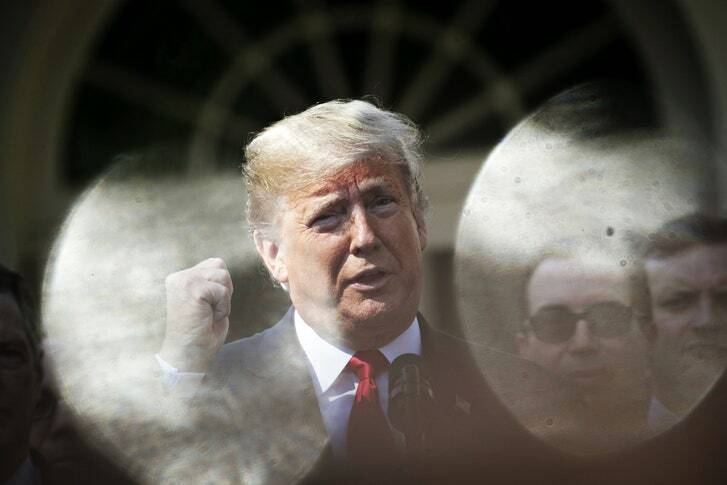 But the speech, like much of President Donald Trump’s foreign policy, confuses the impulse to confront threats with a theory of the case for how to deal with them. Competition simply isn’t a strategy. And just because Chinese foreign policy demands a competitive response from democracies everywhere does not mean the Trump administration should be — or is even capable of being — the champion that democracy needs. Last week at the Hudson Institute in Washington, D.C., U.S. Vice President Mike Pence delivered the Trump administration’s first major policy speech on China. The speech was highly anticipated in both the United States and China because of its significance and the context in which it was delivered. Indeed, the Trump administration, since it took over in January 2017, has been criticized (rightly) for lacking a coherent China policy or even any China policy. The once relatively smooth relationship between the two powers in 2017 suddenly turned into an ugly trade conflict in 2018, and, for the foreseeable future, there is no light at the end of the tunnel. In recent months, the United States has also stepped up its pressure on China in all realms including cybersecurity, human rights, and the South China Sea, thus rendering the U.S.-China relationship the most vulnerable it has been in recent decades. 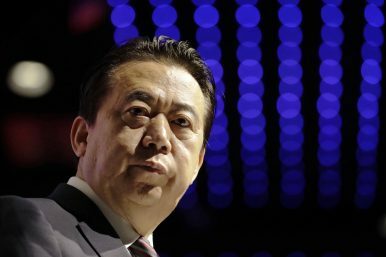 At midnight on October 7, the Central Commission for Discipline Inspection (CCDI), the highest internal-control institution of the Chinese Communist Party (CCP), released an extremely short statement confirming that Chinese Deputy Public Security Minister Meng Hongwei, who is also the president of the International Criminal Police Organization (Interpol), has been detained by Chinese authorities. CCDI’s statement announced that Meng is “under investigation by China’s National Supervision Commission (NSC) on suspicion of legal violations,” without revealing any further information. PHILADELPHIA – October 5, 2018 – The Middle East Forum’s “Islamist Money in Politics” (IMIP) project has calculated the top-ten recipients of 2017-18 campaign contributions from prominent Islamists. These are funds from individuals who agree with the goals of Khomeini, Bin Laden and ISIS. Michigan politicians dominate the list. Failed Democratic gubernatorial candidate Abdul El-Sayed raised an impressive $80,400 – the most ever in a single election-cycle since IMIP began tracking these donations in 2014. This includes $58,760 from senior officials of the Council on American-Islamic Relations (CAIR), designated a terrorist organization by the United Arab Emirates. Everyone says they don’t want war, but the fourth armed conflict since 2006 between Hamas and Israel may be imminent. As Israeli Minister of Defense, Avigdor Lieberman, warned Hamas on Thursday: “The holidays are over.” Throughout September and early October, Israeli pretty much shut down to celebrate the annual succession of Jewish high holidays. The party is now, officially, over. In the last few days, there has been a buildup of troops and munitions on the Gaza border, partly in anticipation of a sharp increase in hostilities on Friday evening. 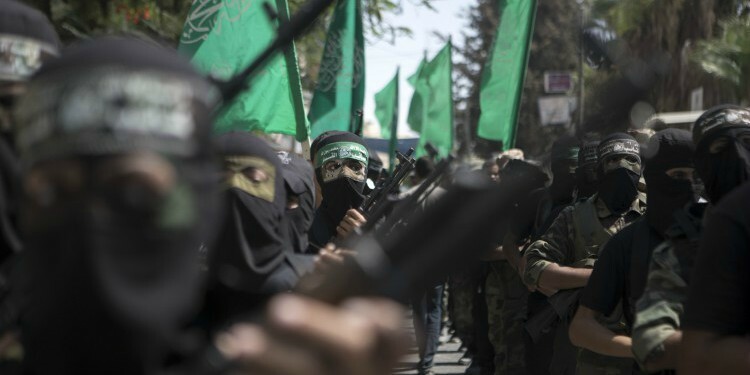 For almost seven months now, Hamas has organized weekly demonstrations at multiple locations along the Gaza-Israel border. Originally posted under the headline "Iraqis Channel ‘MeToo’ After High Profile Women Murdered." It was a year ago this month that Catalans voted to break away from Spain and create the Republic of Catalonia. Although 90 percent of the Catalan public endorsed independence, only the Catalan government and those who voted in favor of it took the results seriously. Madrid declared the referendum illegal, based on a ruling from the Constitutional Court, while the European Union and the rest of the international community, including the United States, ignored the results. Most important, perhaps, the bulk of those opposed to Catalan independence boycotted the vote, effectively denying the referendum any legitimacy. These setbacks did not deter Catalan separatists from declaring independence a few weeks after the vote, on October 28, prompting Madrid to revoke Catalonia’s autonomy statute, prosecute those who authorized the referendum, and order new elections in the region. The United States is engaged in a renewed great power competition with Russia, a country that maintains an impressive assortment of nuclear weapons and antiaccess military tools. What makes the Kremlin’s behavior so alarming, however, is not the lethality and reach of its weaponry, but its disaffection with the U.S.-led international order that has organized global affairs for the past 70 years. This dynamic is front and center in the Syria conflict, where Russia’s strategic intent is concerning. A great contest to erode trust between people and their leaders is raging around the world. Proof, if it were needed, lies in the revelations in recent days about Russian hacking and spying activities. The details have triggered a wave of ridicule. It is often said that satire is the sharpest weapon and this is a prime example. Certainly Vladimir Putin is a perfect target. Since he took over a chaotic, failing state on the eve of the millennium, Mr Putin’s raison d’etre has been to be taken seriously. This is true for himself as a leader, but also for Russia as a great country and an influential presence on the world stage. In baseball, when a team trades a player to another team each side expects a benefit in return. Not so in recent years when it comes to trade agreements between the United States and other countries. President Trump has been right in his criticism of the North American Free Trade Agreement (NAFTA) and other trade deals that have left the United States at a disadvantage, sidelining American goods, stifling job growth and allowing other countries to steal America’s intellectual property. It was a " good trip ". Maj. Gen. John B. Morrison Jr. (left), U.S. Army Cyber Center of Excellence commanding general, speaks with U.S. Army Central staff during a staff visit to the CCoE at Fort Gordon, Georgia Dec. 9. As the Army transitions to a new generation of warfare, one that involves a more high-tech battlefield, Fort Gordon in Georgia is becoming the nexus where such capabilities will be born. Home of the Army Cyber Center of Excellence, where soldiers go to become high-end cyber and electronic warfare planners and operators, Fort Gordon is growing quickly and becoming increasingly more important within the Army. Maj. Gen. John Morrison, Fort Gordon’s commander, spoke recently with C4ISRNET’s Mark Pomerleau about his portfolio and how it fits in the Army. I understand that with the recent elevation of U.S. Cyber Command leaders are going to re-evaluate training and joint standards. Nary a speech from Pentagon senior leadership passes without mention of the importance of cybersecurity. 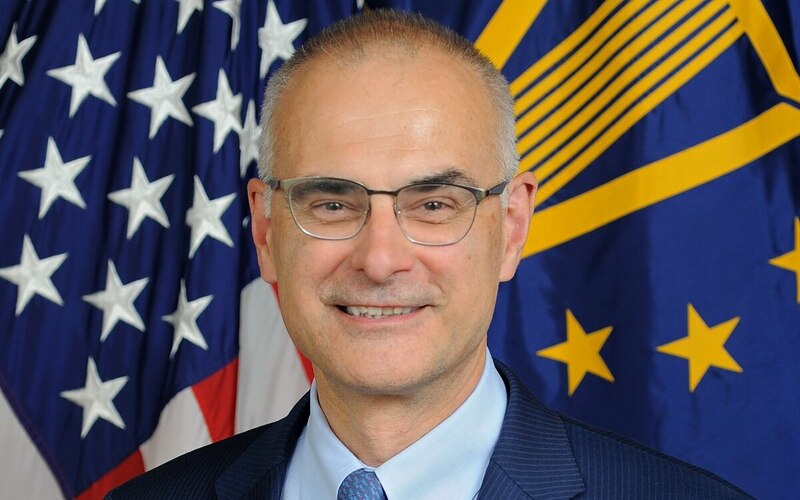 But many of the details of that broad strategy fall to Thomas Michelli, the acting deputy chief information officer for cybersecurity within the Defense Department. Michelli is responsible for coordinating cybersecurity standards, policies and procedures with federal agencies, coalition partners and industry. He spoke recently with C4ISRNET’s Mike Gruss. C4ISRNET: Tell me about the projects you’ve been working on and how we might measure change in the next year. resurfaces time and again is the status of the profession of arms. Nearly four years ago, Dr. Pauline Shanks-Kaurin hit send on a tweet renewing this conversation in ways that were, at the time, unpredictable. Today, given the ensuing course of events, it seems even more important than it did at the time. Social media has transformed the way we communicate, and this initial tweet from Dr. Shanks-Kaurin set in motion an intellectual debate about the status of the profession of arms, its history, and its arc into the future. Tweets led to conversations, which resulted in an extended series of seventeen articles on The Strategy Bridge discussing the intersection of profession and ethics in the modern military.